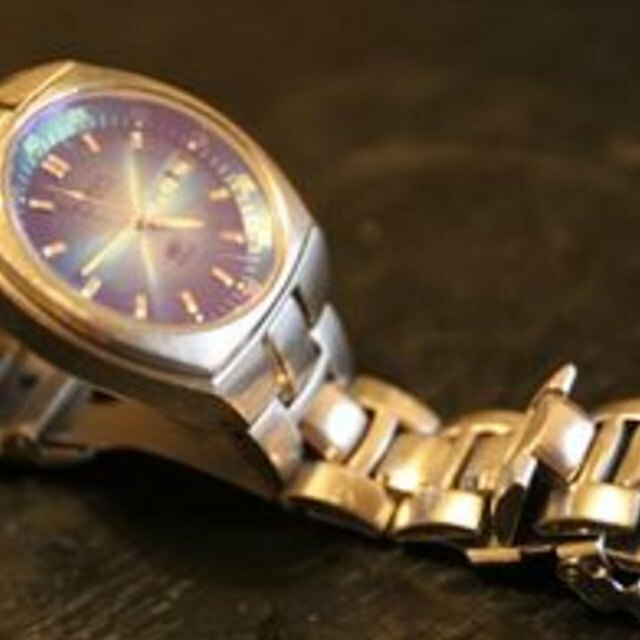 Watches are sold with a long wrist band because it's easier to remove links and store them as spares than it is to order new ones and expand the band. Many of us have purchased a watch or received one as a gift and found it to be too large. Shortening a watch chain requires a few common tools and a bit of precision. Getting the length just right takes only a few minutes, and you can finally wear your watch comfortably. Put the watch on your wrist. Pinch the band with the opposite hand until it fits comfortably. Count how many links are pinched to get a clear idea of how many links require removal. Take the watch off and place it on its side on a flat working surface. Locate the links near the clasp that have tiny holes. These links are safe to remove. Insert a small push pin into the tiny hole of the link you need to remove. Firmly press the pin into the hole until the link bar begins to come out of the opposite end. Grasp the link bar with needle nose pliers and pull it out of the hole entirely to separate the link from the watch band. Repeat steps three and four for any additional links that need removal. Join the clasp and link band together between the area where the links have been removed. Insert a link bar into the hole and fully push it down. Gently tap the bar down with a small hammer if pushing it down is too hard. For the best results, remove an even amount of links from both sides of the clasp so that the watch will rest centered on your wrist. Leave enough space between the watch band and your wrist to account for wrist swelling during hot summer days and exercise. Store the removed links and link bars in a safe place in case you need to expand your watch in the future. Do not bend the link bars when pulling them out of the link holes.